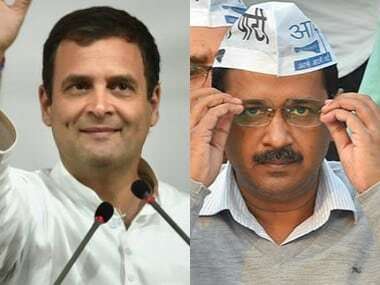 New Delhi: The Congress on Monday accused the Modi government of "aiding and abetting" incidents of lynching across the country, saying "anarchy, mob frenzy, and jungle raj have become the new symbols of Narendra Modi's New India." Congress spokesperson Abhishek Singhvi alleged that the country is witnessing 28 lynchings in a month — almost one per day, which never occurred in 70 years of its independence. "An absolute anarchy, mob frenzy, and jungle raj have become the new symbols of Shri Modi's ‘New India' under which an unprecedented atmosphere of hate and violence writs large," he said. The rumour mongering, state-aided license to kill, and decimation of rule of law leading to a ‘lynching movement' have shaken our 'national conscience,' he said. "It is high time, the BJP government takes note of the widespread mob frenzy and lynching incidents. The BJP would do better to take note of the anger overtaking the citizens of India against vigilantism by their party men," he added. Singhvi said four years have passed and it is time for some corrective action as one has seen enough of platitudes, speeches, and alibis. He quoted Mahatma Gandhi, who had said, "Intolerance itself is a form of violence and an obstacle to the growth of true democratic spirit". Singhvi asked as to who has been spearheading a rumour-driven ‘lynching movement' for the last four years when the police, administration, and the authorities have remained the same. "When the state gives the ‘License to Kill' with impunity and abdicates its solemn responsibility to uphold the ‘Rule of Law,' resulting in vigilantism, death and merciless killings of innocent lives, then each one of us should castigate it, decry it, and question it. "Social media-driven rumours, resulting in the killing of innocent people through rogue justice of mob violence has unmistakably shaken the collective conscience of our nation," he said. Singhvi said in the past four years, Indians have added a new word to our socio-political vocabulary, which is ‘Lynching’. He said one cannot be definite about the reason of such killings, but one can be certainly definite that under the Modi government, "this new phenomena is getting a definite political patronage". "An unprecedented atmosphere of fear, fuelled with hearsay is being created, actively aided and abetted by the state to terrorise gullible people," the Congress leader alleged. He said the recurring incidents of lynching and targeted mob violence against vulnerable groups reported from various parts of the country are a direct challenge thrown at the Modi government against the process of the rule of law. "What is absolutely reprehensible is the fact that the state has completely abdicated its responsibility in its quest to add fuel to this madness. In many cases, it has also assisted, aided and abetted such acts of violence and even justified and condoned them. "We must ask ourselves do we need an India, filled with hate and violence, or do we need a peaceful India where social harmony is paramount for development?" he said. 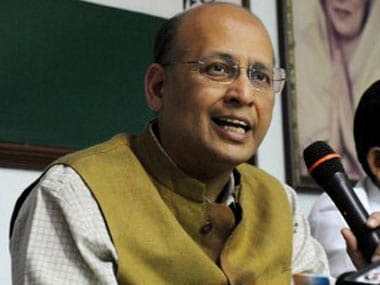 Singhvi cited a number of incidents of lynching, including the recent one of the deaths of five people in Maharashtra. The Congress leader said a new spate of lynching has been triggered with the fear of alleged ‘child lifters,' serving as a new medium of rumour mongering and mob justice. "Just last month alone, 28 Indians have been killed in lynchings," he said, counting incidents of Dhule in Maharashtra, seven in Jharkhand, four in Tripura, two each in Assam, Andhra Pradesh, West Bengal, Telangana and one each in Gujarat, Chhattisgarh, and Uttar Pradesh. He said while these are only recorded fatalities, the number of unrecorded ones is far greater and unimaginable. Singhvi said it was ironic that one Sukanta Chakrabarty (33), hired by the Tripura government to create awareness against rumour mongering and incidents of lynching, himself was lynched by a mob suspecting him to be a child-lifter. He said what is most distressing that in case after case, the "ministers of BJP-ruled states and its leaders have either been a cause of abetment or have flagrantly justified this phenomenon". Three lynchings happened two days after an 11-year-old boy was found dead with cuts on his body in Mohanpur, just 25 kilometres from state capital Agartala, and rumours said that his kidneys had been removed. The discovery of the body had led to clashes between residents and policemen, leaving more than 10 people injured on both sides, he recalled, adding that the Tripura minister for education and law Ratan Lal Nath visited the boy's family the same day and later in a video, he was heard telling a gathering that “the kidney was taken out of the boy's body after making a round cut”. Shockingly, when Chief Minister Biplab Deb visited the boy later, he said both ‘kidneys' of the boy were found intact after his post mortem examination. 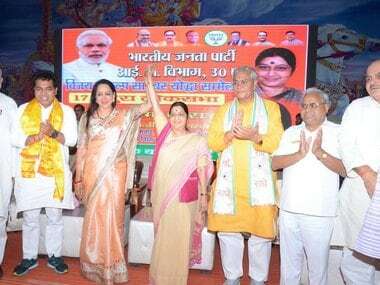 "This clearly demonstrates how a BJP minister added fuel to the fire." 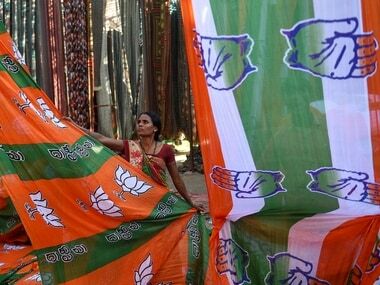 Then the BJP MP from Jharkhand, Nishikant Dubey, said he would pay the legal fees for the four people who have been accused of lynching two men in Godda, Singhvi alleged.